One for the Money Two for the Show! Second Time is a Charm! Homebuyers may feel like intruders if you are present while they view your house, and this will affect their overall impression. Consider taking the opportunity to visit the local coffee shop, go shopping, or take the kids to the park. If you can’t leave while the house is being shown, try to be as unassuming as possible. Do not move from room to room. Don’t offer information, but make yourself available to answer any questions the agent or buyers might have. When you know an agent is bringing someone by, make sure all of the drapes and window shades are open to let in as much daylight as possible, or—if the showing is taking place at night—to create a look of comfort and warmth when viewed from the outside. Open all the doors between rooms to create an open, inviting feel. Turn on all lamps and overhead lights, even during the day. Keeping lights on during the day softens the harsh shadows sunlight can create in a room, and illuminates dim corners. During nighttime showings, make sure all outdoor lights are on, as well as pool lights. Scan the floor for debris—newspapers and magazines tend to accumulate without our noticing. 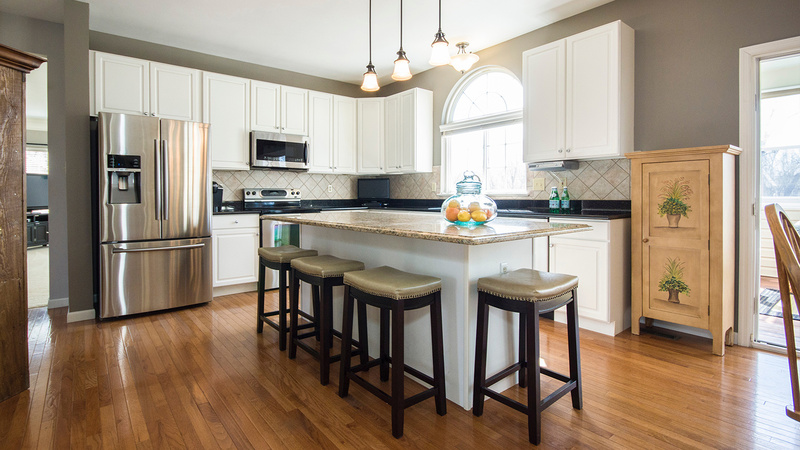 Make sure all the counters are clutter-free. Empty the kitchen garbage before every showing, particularly if the garbage can doesn’t have a lid. Keep everything freshly dusted and vacuumed. Beds should be made and bathrooms cleaned (toilet lid down). Every room should sparkle. Avoid using scented sprays before showing your home. Some people simply won’t enjoy the smell, and others may be allergic. If you want to make a room smell pleasant, consider a potpourri pot or a naturally-sourced aroma. If you or your family is home while the agent is giving a tour, try to stay as quiet as possible. Turn off the television and the blaring radio. Put on some soothing background music at a low volume. If you have pets, make sure your listing agent includes this in your listing on the Multiple Listing Service. This way, no one will be surprised by a furry welcome if the agent shows the house while you’re not there. If you know someone is coming to tour the house, ideally you should take the pets with you, or arrange to have a friend or family member take them. If this isn’t possible, keep dogs in the backyard, preferably in a penned area. Try to keep indoor cats in one room while people are touring the house, and put a sign on the door.